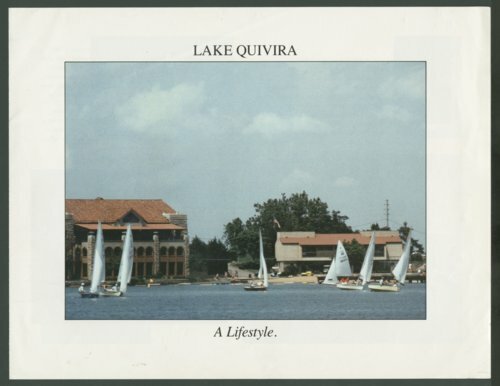 This is a pamphlet promoting membership and real estate at Lake Quivira and the country club at Lake Quivira, Kansas. The photographs are in color. Lake Quivira had 900 acres of restricted residentail and recreational property.